Making good impressions on customers begins by ensuring that the office space where customers are greeted is always clean and tidy. To keep a business or medical office clean requires regularly scheduled office cleaning. New York has many companies that can provide this service, but only a select few do it consistently well. Because most businesses and medical offices are open during the day, cleaning the building must take place during the night. Maintaining a professional appearance requires a good and thorough office cleaning. New York City has many companies that provide janitorial services, but for professional medical office cleaning, a different kind of service may be required. A New York office cleaning service must have the experience to handle medical office cleaning, which often involves the handling of medical waste in a specific manner. Bandages, syringes and more must be disposed of according to the regulations or standards set by the EPA. A janitorial service must commit to handling the disposal appropriately. 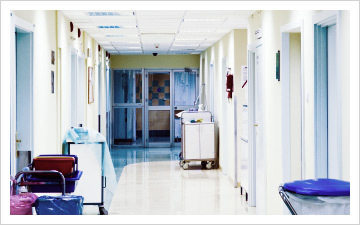 Ask the janitorial service about the special requirements of medical office cleaning. NYC medical offices are plentiful. NYC medical offices, however, also have more than just a waiting area that requires cleaning. Examination rooms need thorough cleaning with the appropriate disinfectants to remove any bacterial contamination. A typical New York office cleaning service may not understand the special cleaning needs required for medical office cleaning. That’s why it’s important to review the experience and background of a janitorial service company to ensure it understands the special needs and the cleaning procedures medical office cleaning poses. When hiring a janitorial service to clean a medical office, confirm that the cleaning staff is insured or bonded for added security. Because medical offices often contain costly medical supplies, it helps to know that the janitorial service uses trustworthy and competent employees. Rest assured that we can meet all of your medical office cleaning needs. Standard janitorial services include vacuuming, dusting, the emptying of trash bins and the replenishment of toiletry supplies, as needed. If there are bathrooms in the office, these are also cleaned and sanitized on a regular basis. This is all part of office cleaning. NYC janitorial services such as ours offer all of these services and more. Hiring just any firm without checking the references is not a good idea. New York office cleaning companies and janitorial services can also provide specialty-cleaning services as needed. Ask about the special services for office cleaning. New York City has many office and medical buildings that require the services of a janitorial company. Office cleaning services usually offer contracts to customers, which can help save in janitorial cleaning costs over the length of the contract. New York office cleaning services can provide these services on a daily basis, three days a week, or on whatever schedule best suits the business. Commercial cleaning must be consistent to make the office look good and ensure regular office cleaning. New York janitorial services that maintain a regular schedule and cleaning checklist ensure that an office is always in tip-top shape for the business customers.